Kick that boring cat eye to the curb. So, you're getting tired of the same old eyeliner routine, eh? Even though those cat eyes look so glam, you're ready for a change. 1. Experiment with a color other than black. Gel or cream formulas work great. 2. Try out an ombré look. Looks so easy, yet takes only a little effort. 3. The same technique works with metallics too. 4. If you don't want to buy a new colored liner, make use of eye shadow you already have. 5. Or turn your liner into a super-pigmented shadow. 6. Layer your usual black liner over a neon base. The key to getting a solid blue line is by using white liner underneath it all. 7. 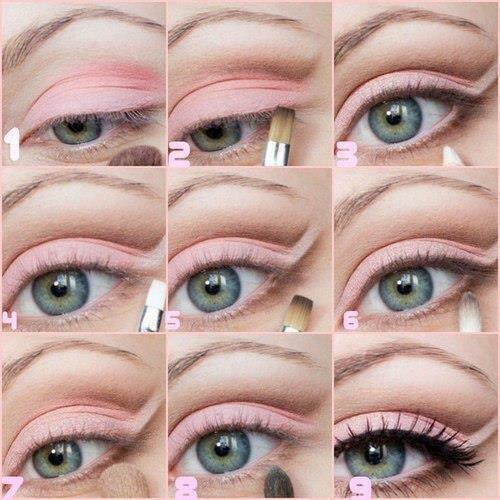 Make your eyes pop by adding shadow to the inner rims. 8. Wing your liner and shadow, for a look that's twice as dramatic. 9. Wing out pastel shadow for a mod look. 10. Eyelash glue + glitter = the most impressive glitter liner of all time. Make sure you've got eye makeup remover on hand before attempting this look. 11. Use neon shadow as liner. 12. Crosshatch and smudge your usual liner for dark shadow effect. 13. Line your bottom waterline with an unexpected color. 14. Try out a festive rainbow cat eye. 15. Layer on liquid liner for a striped look. If this doesn't impress someone, then they are probably a monster.